When you get ‘the call’, are there any questions you recommend asking to see if the agent is right for you? How involved is the author-agent relationship once the author is involved in editing with an editor? 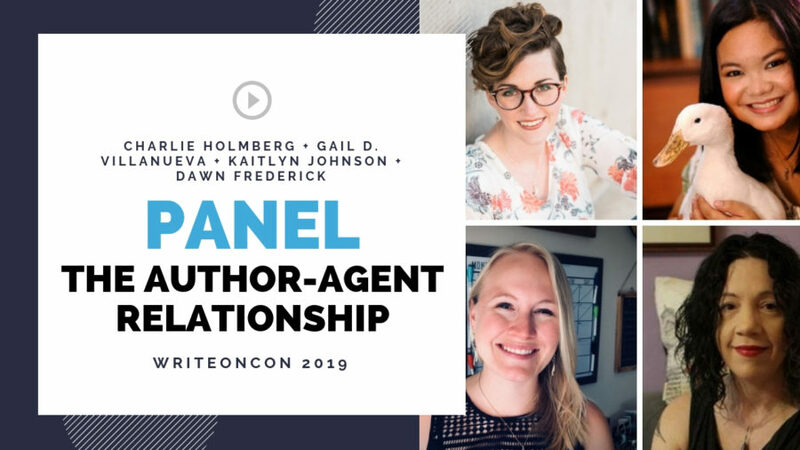 What makes for a strong author-agent relationship? How did any/all of you celebrate your first Very Exciting Thing (book deal, agent, client, etc)? Thank you all! If an agent has extensive experience in one age group (say picture books), how difficult is it to begin representing a new age group (say middle grade)? Thank you! What is the best question you’ve received in an initial conversation with with an author/ what was the one thing you wished you’d asked an agent in your initial conversation? Have you ever dropped a client is why? Has a client ever dropped you if so why? For the agents: how do you divide your time between current clients and potential clients? How much time do you spend in a given week or month with a particular client? When there is a controversy at the agency that represents you, how does that affect the clients there not directly involved? When pitching new books, is that done after a book deal or can it be done before so? What are some common methods when communicating with agents? Is social media or email the best way to talk? Can you provide some red flags to help authors separate agents from schmagents? Ok…so, speaking of politics. :/ Political views are unfortunately a big part of a lot of agents/editors/authors lives (and social media accounts) today. How important, if at all, do you think is it to see eye-to-eye with an agent in that regard? When I start to submit my work and if an agent or my list of agents say no and then I decide to submit to publishers and one of them take it, could I go back to one of the agents and would they reconsider taking it then? If a client has two agents from different agencies or the same one? Are there certain rules about that? As an autistic author I want to be a good business partner to my future agent, but worry that my social issues make it difficult for me to do things like travel to big cities, present a saleable appearance, socialize at conferences, etc. Would that be a problem for an agent, or can I expect them to understand my limitations? Agents: What is the ratio of clients you’ve met in person vs. virtual only? Authors: Have you met your agent in person? If not, is this important to you? When selecting agents to query, should you choose someone who has authors who do similar work (eg pb bio on artists), or does that intrude on their relationships with their authors? Can you say a few words about working with authors abroad? What are possible challenges for both, the author and the agent? I live in the Philippines, which is 13 hours ahead of New York, so timezone differences can be a real pain 🙂 I sleep late though, so it’s not really an issue. Of course, this can be a bit of a problem when mailing documents and stuff since international postage can be expensive. How often do you communicate with your client if you have nothing out on submission? In the querying process, agents, do you want to be put on a pedestal/ have an author approach with hesitancy, or would you rather have an author that respectfully approaches you as an equal? Hi Dawn, You just mentioned that you’re closed only to conferences. Is this considered a conference? Who schedules author events such as the launch party, book signings, book readings, etc. ? Does the agent do this or the author or a combination of both? If agents don’t set events up do they send along information about upcoming events to the author that the author may not know about? Well, in my case, it’s not my agent who does this but my publicist with Scholastic. If my agent sees an opportunity for me though, she forwards them to me and we discuss it. Do agents help with promoting your book? Do agencies give you any guidelines or written materials/checklist as to how to promote your book once it is published? For the authors: What was the best way you’ve seen to promote a book? What did you do? Authors, at what point did you know your manuscript was ready to query? I seem to be drawn to agents who don’t represent the kind of things I’m writing and publishers who don’t take unsolicited manuscripts, Super frustrating. I don’t even know what my question is here cause I can’t change what I write to fit the agency…. Can a client recommend a writer to be represented when talking to their agent?